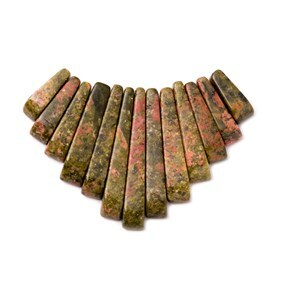 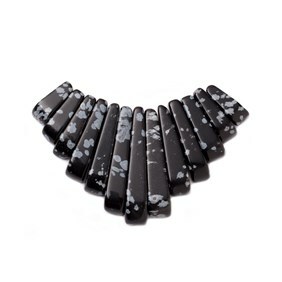 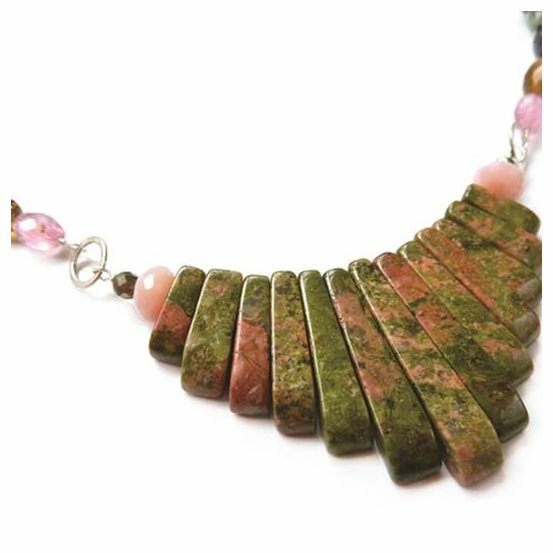 These best-selling unakite tapered gemstone bead sets are made of thirteen individual beads ranging from 12mm to 28mm in length that can be strung together to make beautiful graduated necklaces. 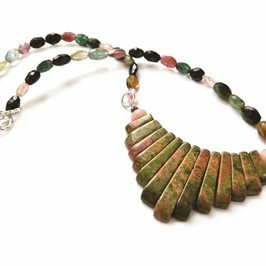 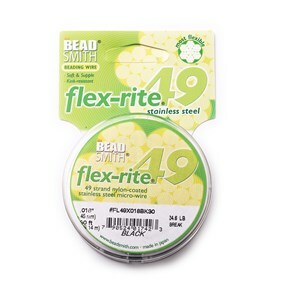 These sets are particularly popular with beginners to jewellery making as they can easily be threaded onto a beading or necklet wire to make a simple necklace design. 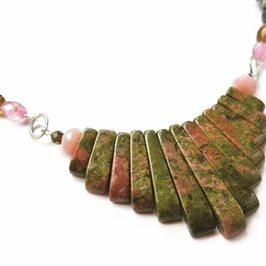 Try mixing with coordinating beads or for a more impressive design, mix two or three sets together to make a wider curve of beads. 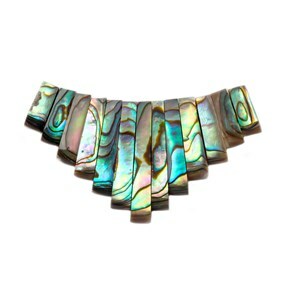 This works well using either two or three of the same colour gemstone, or as the sets are available in a range of different semi-precious stones you could mix different gemstones in complementary colours together to make a really special jewellery design.